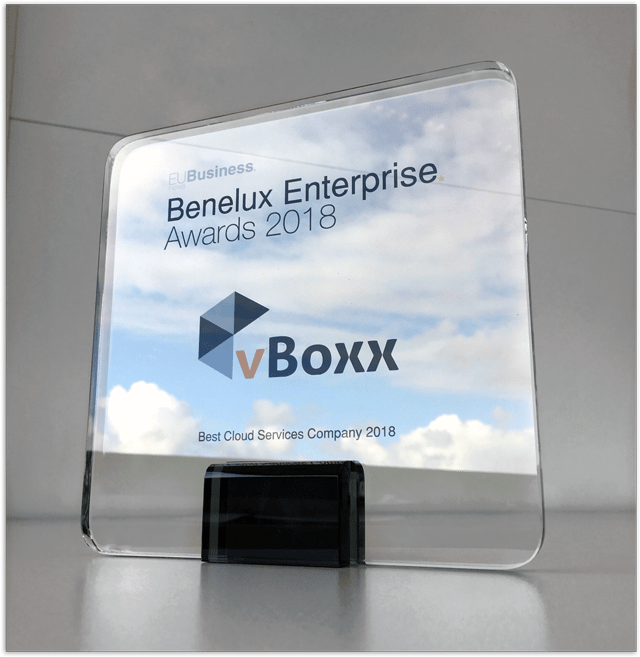 We are proud to announce that vBoxx has been recognized as the Best Cloud Service Company of 2018 in the Benelux! The Benelux Enterprise Award is annually granted by the EU Business News publication to companies for outstanding achievements in various business fields. It highlights business achievements in the past year, reputation in the field, level of innovation and the company’s presence on the European market, and is one of the most reputable in its field. Below you can read the highlights of the interview where our CEO, Valentijn Koppenaal explores the services offered in more detail, and talks about how vBoxx strives for excellence with its solutions. From hosting websites, dedicated servers, to our cloud solution vBoxxCloud, at vBoxx we want to offer our clients an environment where they efficiently accomplish their business goals. vBoxxCloud was born from a desire to provide a secure and private environment for businesses who need constant access to their documents. Our mission is to provide the right tools to businesses that need any type of hosting environment. We want to be able to offer a broad range of services, such as the availability of websites, databases, applications and remote access to company files, the latter of which play an especially essential role for businesses today. Internally, we are a young, flexible, dynamic and fast adapting company. We also like to call it a no-nonsense company. It is our common understanding that the customer comes first. We never stand still, there is always room for greater innovation and efficiency and we are dedicated to finding such for our clients and our company. We thank our clients who encourage us to bring personalized solutions through continuous development and innovation. Curious why vBoxxCloud has won the award for Best Cloud Service of 2018? Discover it yourself and start a trial version on our website. We will be happy to help you personally with the best solution for your files!